The sun is shining and the sky is blue. 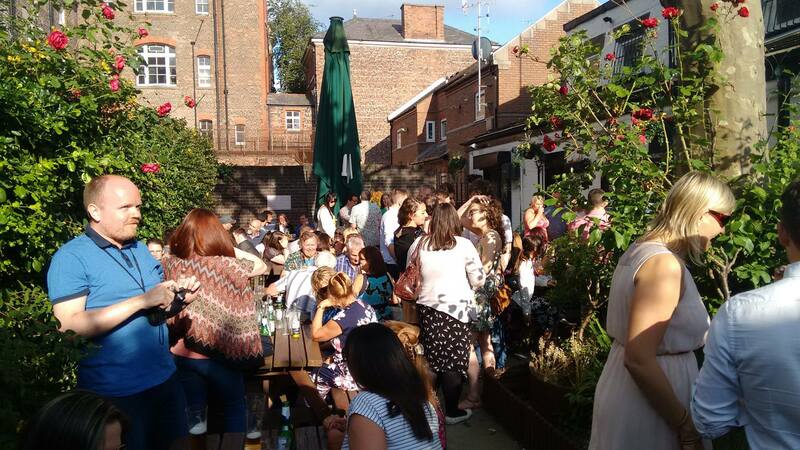 So, it’s time to get yourself to one of these amazing beer gardens in Liverpool! 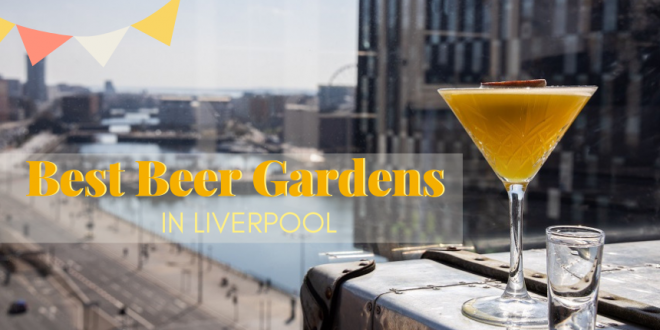 From cosy local favourites and hidden gems, to scenic rooftop bars and beautiful spots with iconic views, there’s a beer garden for everyone in Liverpool. Whether you enjoy sipping on a cold pint of lager, or indulging in a fruity cocktails, these establishments specialise in making the most of the Great British summer time. 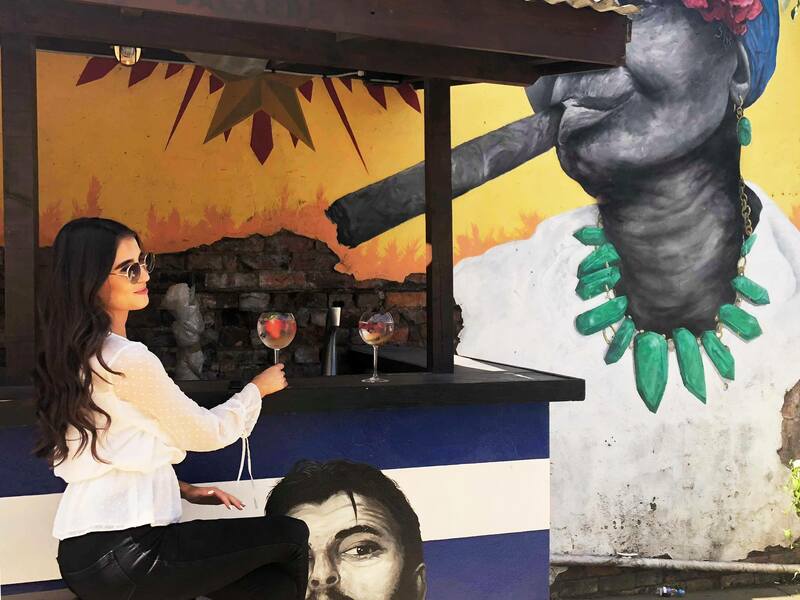 The enchanting Kazimier Garden is still alive and kicking, so there’s no better way to celebrate the sun than with a trip to this amazing venue. Enjoy live music, summer barbecues, wood fires and special events at this enchanting hidden gem. You also won’t have to worry about the venue being overcrowded. Kazimier Garden offers a strict one-in-one-out policy, keeping a chilled atmosphere at all times. It’s one of the best summery beers gardens Liverpool has to offer. Hidden behind Hope Street is Free State Kitchen. Get ready to tuck into one of the best burgers in the city. Plus, enjoy a beer or a cocktail in their secret garden, located at the back of this American style diner. Located on Maryland Street, enjoy a variety of food classics from deli sandwiches, to buffalo wings, alongside some of the most tasty craft beer in Liverpool. 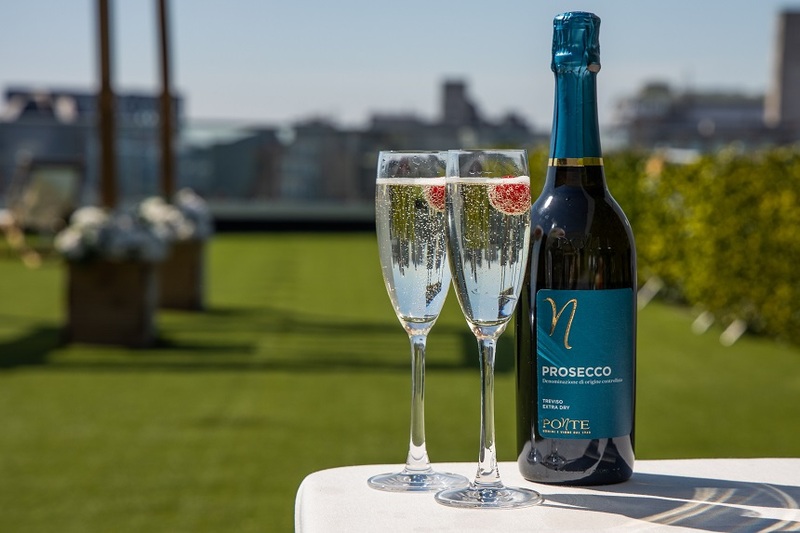 How does a day on a rooftop bar, enjoying fantastic food, chilled champagne and colourful cocktails sound? Pretty amazing, we bet! A sophisticated alternative to the traditional beer garden, Carpathia is one of a kind. Home to waterfront views and a historic setting, soak up the sun at Carpathia Champagne Bar & Restaurant. 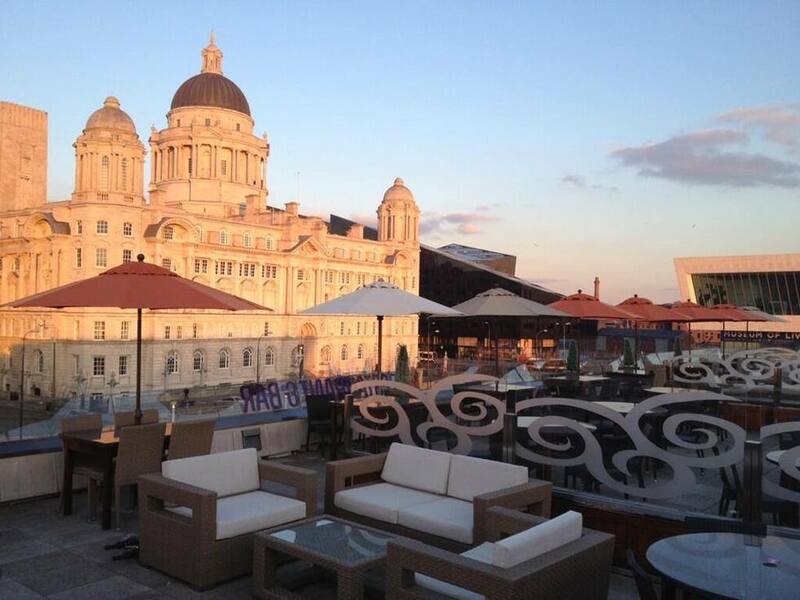 The rooftop terrace is located within luxury 30 James Street Hotel, Liverpool’s famous Titanic themed hotel. 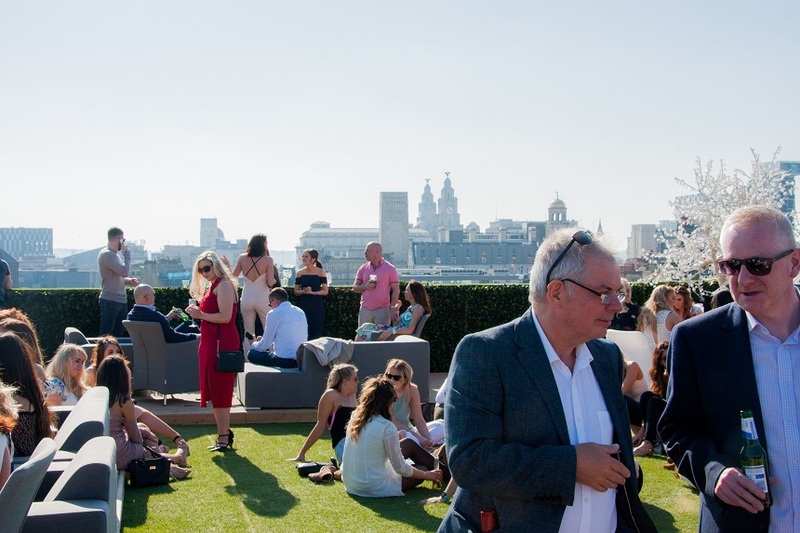 The bar have also announced that they will soon boast a brand-new outdoor terrace, showcasing spectacular views of the Liver Building and beyond. 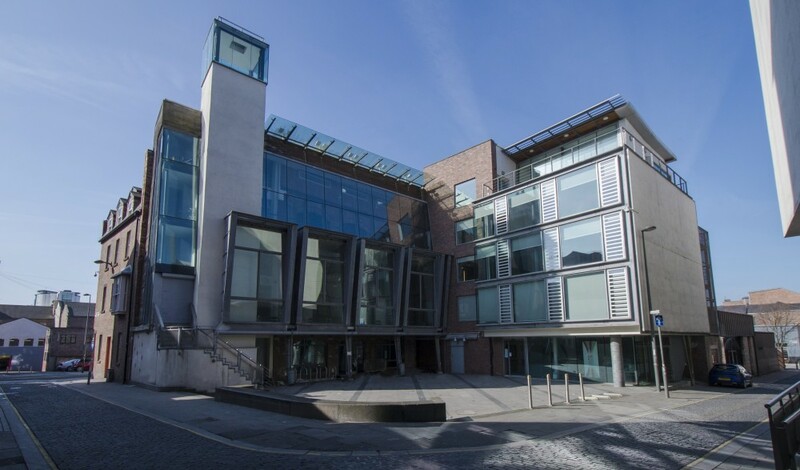 This extension will see the already fabulous restaurant expand and allow an additional 50 people to enjoy magnificent views of Liverpool’s waterfront. Featuring stunning floor to ceiling windows, luxurious seating, fairy lights and an unrivalled atmosphere, Carpathia is the most exclusive and breathtaking rooftop bar in the city. Call them today on 0151 236 0166 to book your table with a view! Red Door’s rooftop terrace is filled with twinkling fairy lights, colourful flowers and an outdoor bar – so you don’t have to miss out on a moment of the sun to order a round of beers or cocktails. You can also chill out on the soft lounge seating area, and you can even head to one of the many barbecues during the warmer months. The fun doesn’t have to stop once the sun goes in either, because, Red Door doesn’t close until 4am from Friday to Sunday – and you can even stay until 2am in the week! 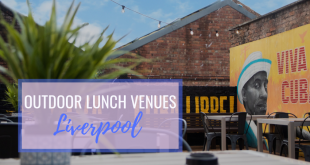 There’s nothing quite like the Liverpool Waterfront on a sunny day – which is why Matou is bound to be a top pick when you want to visit a Liverpool beer garden down by the Pier Head. 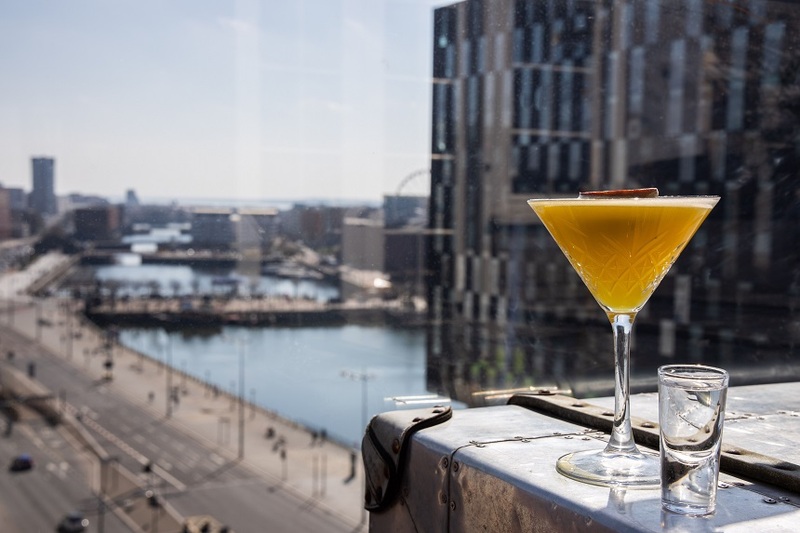 Sip on outstandingly large strawberry margaritas or an ice cold beer and indulge in the delicious Pan Asian cuisine, as you enjoy views of the Liver Building and Albert Dock. It’s one of Liverpool most popular rooftop bars. 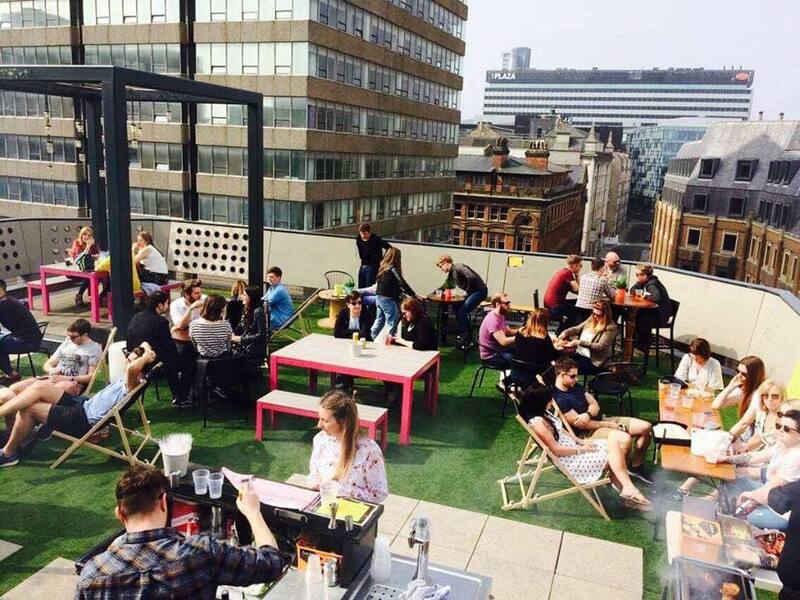 Arguably the most scenic of beer gardens in Liverpool, you’ll find this hidden gem on the rooftop of the luxurious Shankly Hotel on Victoria Street. 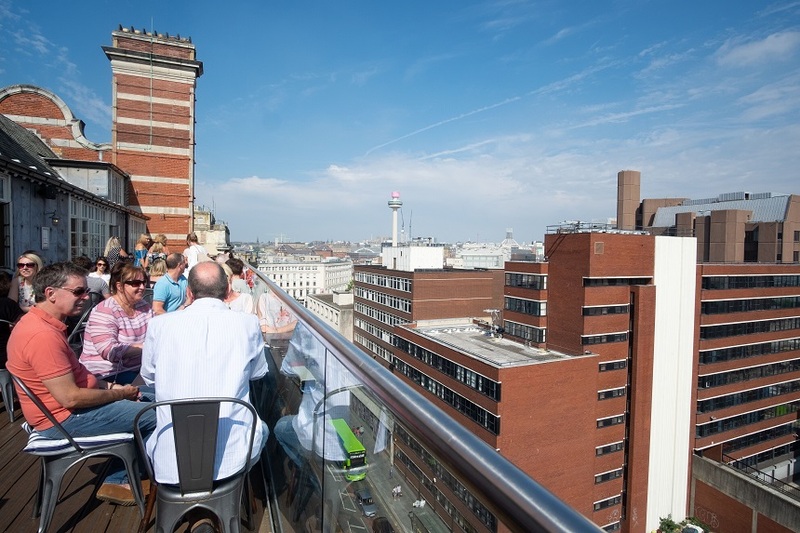 The spacious rooftop terrace showcases panoramic views across Liverpool skyline. Wine and dine in style or enjoy a casual drink in the most fantastic surroundings. The Garden of Eden is known to play host to live gigs, as well as rooftop cinema nights and outstanding events. Not forgetting, it’s well worth checking out the exclusive Bill Shankly memorabilia, located within the hotel’s ground floor bar and restaurant, The Bastion. One of the most atmospheric beer gardens in Liverpool, watch the world go by as you sit outside at The Peacock. Enjoy the buzz of Seel Street with a well-deserved pint and a delicious stone baked pizza. You will also never have a reason to leave your seat, because they’ll bring out the outdoor heaters once day turns into night.What more could you want? For a friendly atmosphere in the sun, grab your sunglasses and SPF and head to The Grapes on Roscoe Street. You can guarantee a great atmosphere at this historic pub. Pick from 9 ales, 15 speciality gins and 35 rums, as you discover the hidden beer garden upstairs. Goodness Gracious is a secret rooftop beer garden located on the top of events space, Oh Me Oh My. From this exclusive bar you will have a VIP view of the Liver Building, as you sit back and breathe in the beauty of this historic landmark from this stunning terrace. View the Liverpool Waterfront and watch as the iconic Mersey Ferries travel along the water, utter bliss. 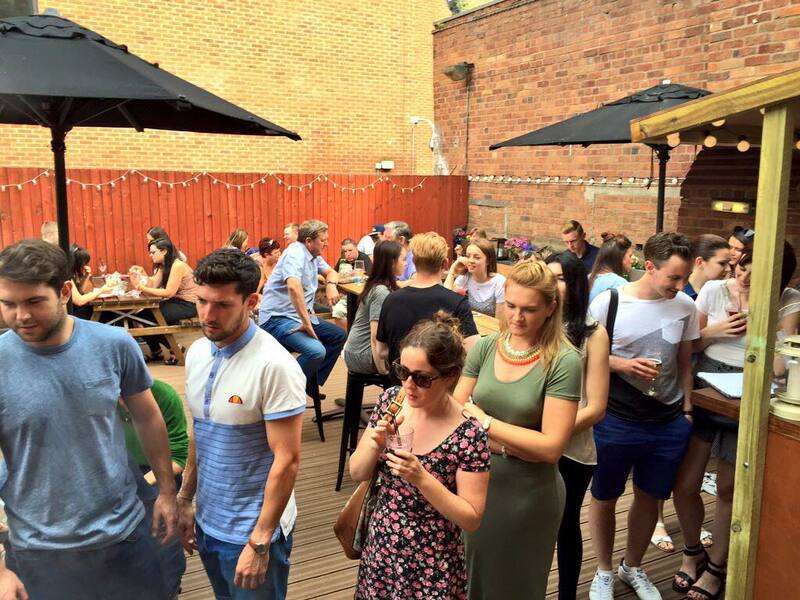 Set in the quirky Baltic Triangle area, Dockleaf is the perfect bar to enjoy alfresco drinks. 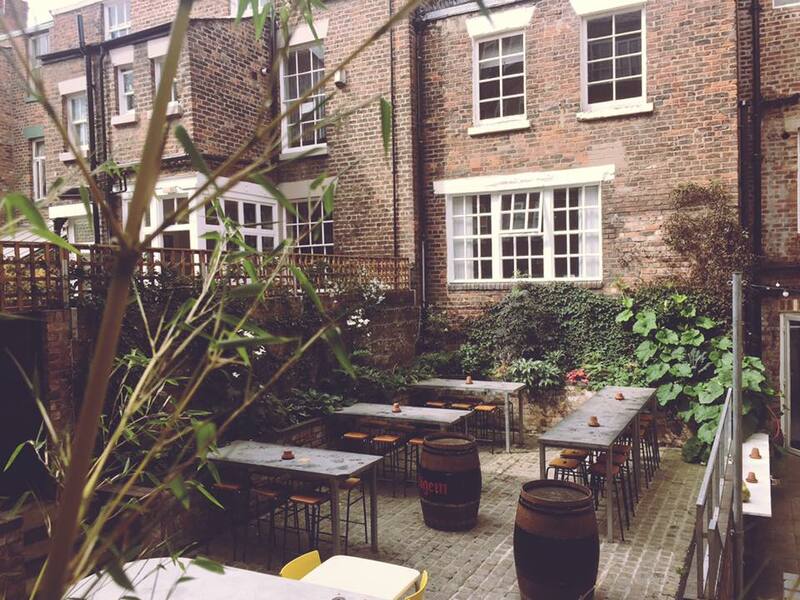 With a stunning rooftop terrace and a botanical downstairs area, it’s one of our favourite beer gardens in Liverpool. This rustic style Liverpool pub is also famous for its delicious food, in particular the ever-popular Sunday Roast Club. Served every Sunday from 12pm until they sell out, it’s well worth a try! 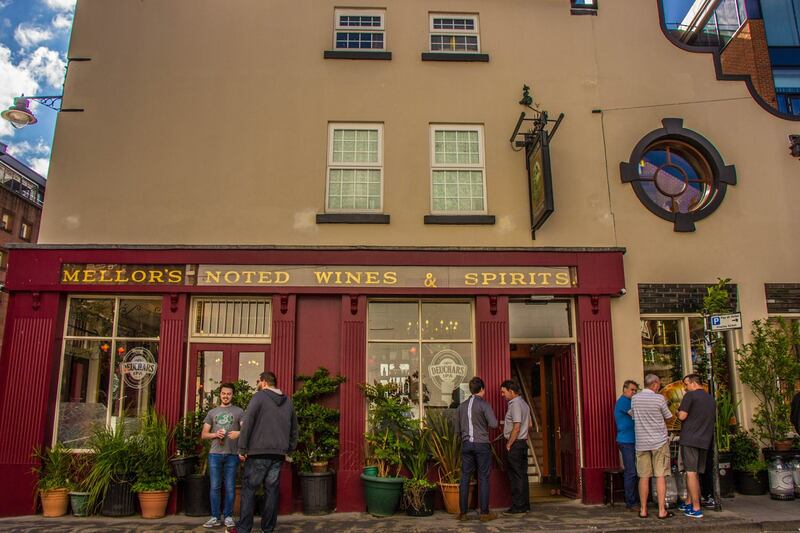 Offering beautiful hanging baskets and floral blossoms, you’ll want to spend a relaxed summer day in The Monro, which is located on Duke Street. Enjoy a romantic date night or enjoy a catch up in this cosy beer garden. Instead of just turning up and hoping for the best, you can reserve your own table to guarantee a seat. There are so many beer gardens for you to choose from, but Constellations has to be up there with some of the best. Not only is it a great place to relax with a beer, Constellations regularly offer brilliant food and drink events, gigs and arts markets. You will definitely be impressed by the venue’s incredible carpentry, but what’s more amazing is that it can accommodate more than 2,000 guests! 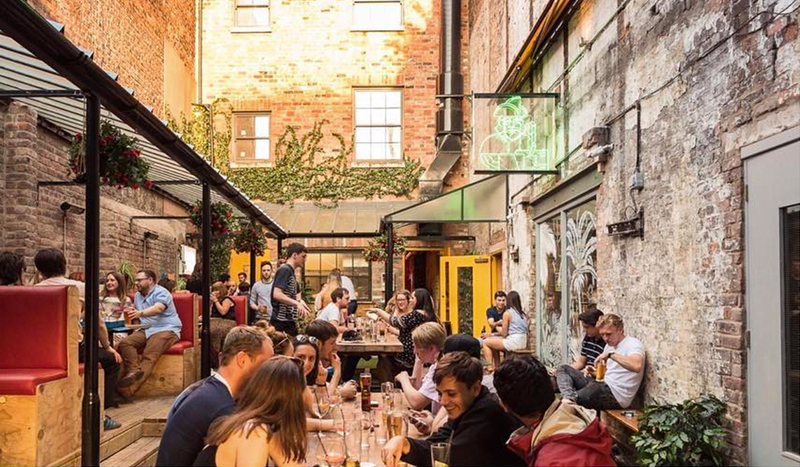 One of the best beer gardens in Liverpool, Buyers Club is a hidden gem set off Hanover Street. Hosting everything from summer BBQs to DJ events, the Buyers Club garden is the place to be. Enjoy a drink in style surrounded by the twinkling lights and an unrivalled atmosphere. Thomas Rigby’s is one of the oldest pubs in Liverpool – and certainly one of the best. 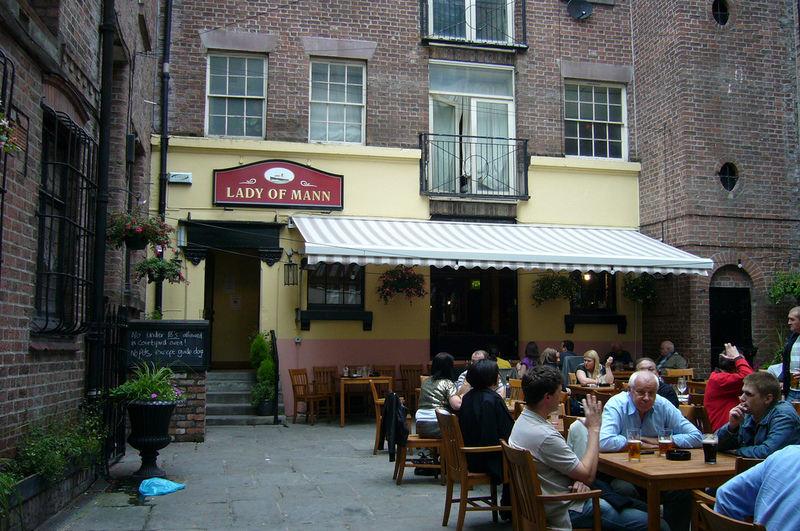 So, if you’re looking for plenty of hearty food, cask ales and 40 world beers in the sunshine, take yourself along to their beer garden, which is shared with The Lady of Mann next door. You’ll feel a world away from the bustling city centre. The Club House has quickly become one of the most popular destinations to head to on a sunny day in Liverpool. Offering outdoor seating and a first floor terrace, you can take your pick from the many seats at one of the city’s newest restaurants. The smells from the outdoor kitchen will draw you in alone, but you’ll most definitely stay for the cocktails in the sun. If you love gin, heading The Botanical Gin Garden is a must when the sun comes out to play. Only open in the summer months, you can find this quirky hideout on New Bird Street in the Baltic Triangle. With its chilled out atmosphere, the garden captures the sun for most of the day and is a place you do not visit just once. Enjoy lots of gin cocktails, fantastic music and tasty Mexican food, what more could you want! If you’re looking for more bars in Liverpool than specialise in gin, check out our Gin Lovers Guide to the City. 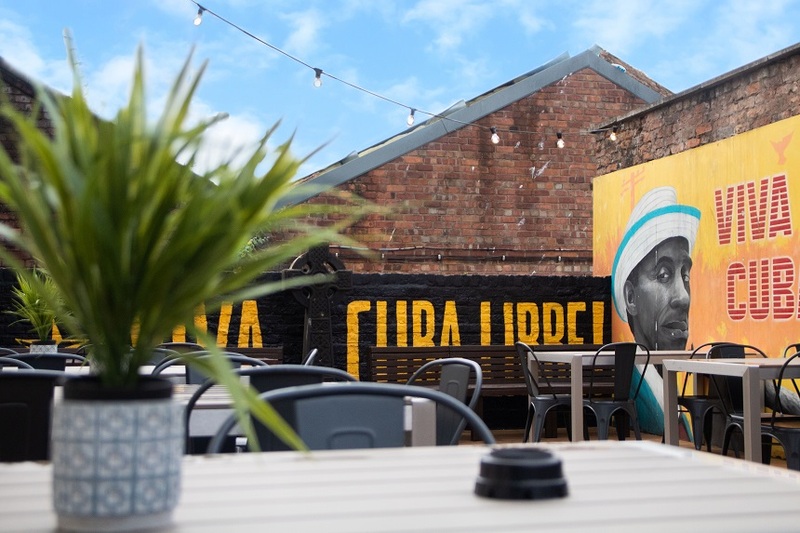 Voted Liverpool’s favourite bar, what you may not know is Alma de Cuba has a hidden beer garden that is the perfect little sun trap. Sip on your perfectly mixed Pornstar Martini as you soak up the rays and enjoy the amazing atmosphere. But you’ll have to get in there quick, as the tables fill up as soon as the temperature increases. Tucked away below the hustle and bustle of the bohemian Hope Street, the Pen Factory has quickly become a favourite spot for sun seekers. Offering diners and drinkers an eclectic menu featuring seasonal small plates and a huge range of cask ales, it’s the ideal destination for a relaxed dining experience. 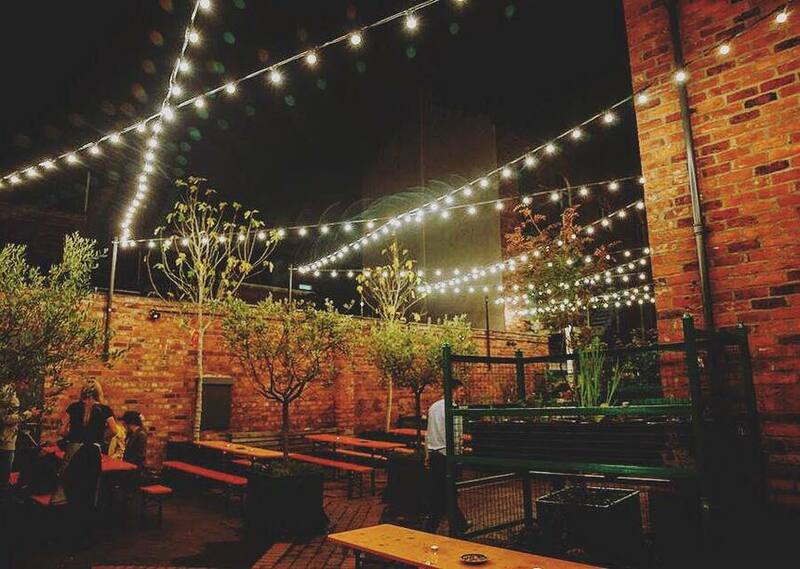 A quiet oasis away from the city, the Pen Factory beer garden is a beautiful place to catch up with friends. 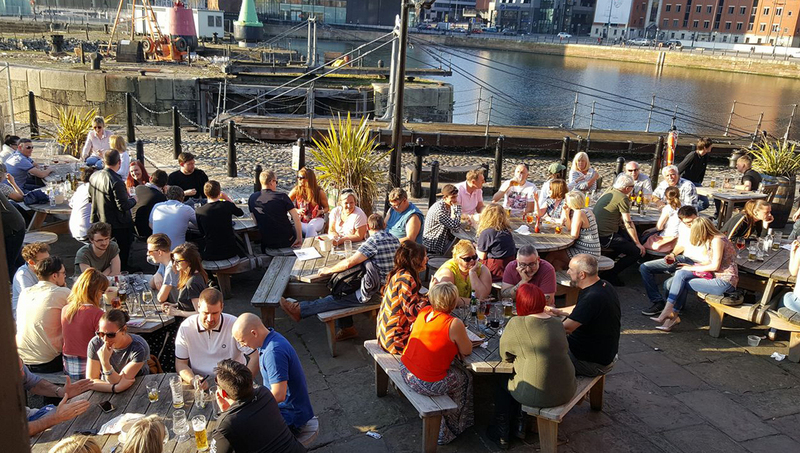 Lovingly referred to as one of the best beer gardens in Liverpool, the Pump House is a traditional, waterside pub that looks out over the stunning River Mersey. Situated on the beautiful Albert Dock, this beer garden is the ideal sun trap to enjoy some yummy pub grub with a cold pint of cider. An unmissable Grade II listed landmark, the Pump House is an idyllic setting to enjoy the summer sun and one of our favourite pubs with a beer garden in Liverpool. Once known as HUS, this Scandinavian themed bar and restaurant has recently had a re-brand and is now called Folk. Their breathtaking rooftop terrace may be a little hard to find, but once you’re up there, you definitely won’t want to leave. Offering drinkers an outstanding skyline view, yummy cocktails, beers, wines, barbecues and unencumbered sunshine throughout the day, Folk offers one of the best beer gardens in Liverpool. The Merchant is without a doubt one of the best beer gardens in Liverpool. This stylish spot is a local favourite for drinkers, come rain or shine. With perfectly placed shaded areas, large benches and comfy sofa alcoves, enjoy a large gin goblet and a slice of pizza. Decorated with plants, artwork and homely features, The Merchant’s beer garden is a must-visit. Last but certainly not least in our list of the best beer gardens in Liverpool is the glorious Ye Cracke. Located on Rice Street, Ye Cracke is a traditional pub with a cosy beer garden right in the heart of Liverpool city centre. This is one of the oldest pubs in the city. Steeped in history, Ye Cracke is the perfect spot for a summer night. Come the sunnier months, there’ll be plenty of parched people looking for the best places to drink in Liverpool. Where they can also soak up some of that rare British sunshine and enjoy balmy summer evenings outdoors. Luckily, Arthouse Hotel is looking forward to opening their very own outdoor bar terrace, in the heart of Liverpool’s Ropewalks district. Think twinkling canopies of fairy lights shimmering in the late summer sun, comfortable seating to recline and relax, drink in hand, and a hot soundtrack of chilled summertime vibes. We can’t wait! 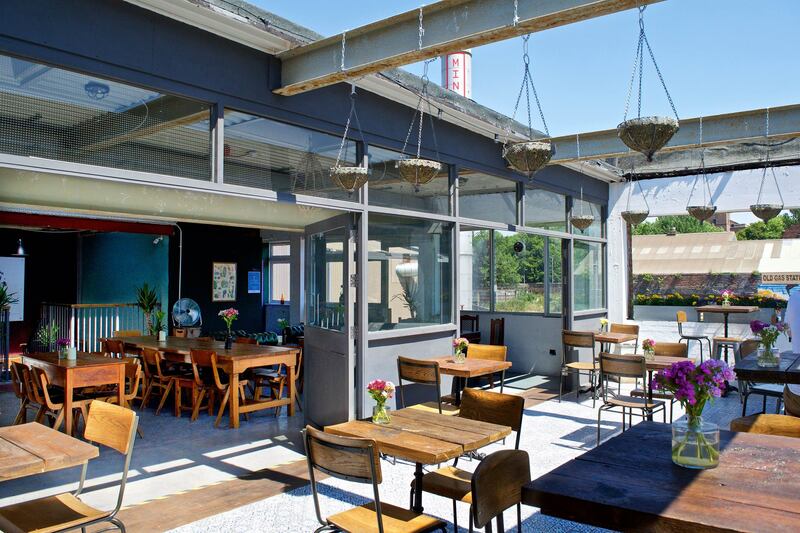 We hope you enjoyed our guide to the best beer gardens in Liverpool. If you’re looking for more ways to have fun in the sun, check out 18 ways to enjoy the sun in Liverpool.